THIS PROGRAM IS SOLD OUT! TO ADD YOUR NAME TO THE WAITING LIST, CALL (845) 634-9629! This award-winning documentary tells the story of life in Piermont before the Condominiums. In 1901, Martin R. Williams erected the first paper mill in Piermont. The rail yards on the pier, built in 1840 by the Erie Railroad, provided transportation for supplies in and out of the village. Fresh water, needed to produce paper, was supplied from the nearby Sparkill Creek. 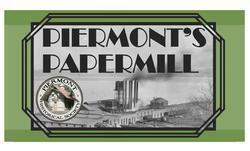 The Piermont Paper Company began production in 1902, and for 18 years the plant produced cardboard. Its principal customer was the Robert Gair Company. In 1920, Robert Gair purchased the mill. He had become a leader in the paper industry in Manhattan and Brooklyn after the Civil War. Gair's discovery revolutionized modern society with cardboard boxes and paper fiber containers that replaced bulky wooden crates and barrels. Manufacturers saw the sides of boxes as valuable ad space to sell their brand. The PHS is grateful to those whose memories are cherished: Phillip Delorenzo, Kevin Fagan, Lawrence Goswick, James Koza, Alfred Lacker, Laura Montesano. The Historical Society of Rockland County is a nonprofit educational institution and principal repository for original documents and artifacts relating to Rockland County. Its headquarters are a four-acre site featuring a history museum and the 1832 Jacob Blauvelt House in New City, New York. www.RocklandHistory.org.